Singapore Cardfight! 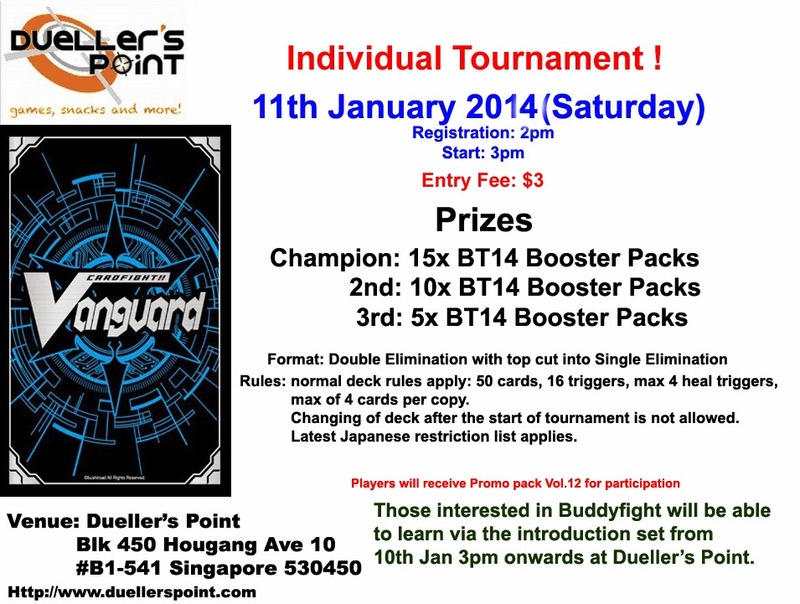 Vanguard Online: Cardfight Vanguard Tournament on Saturday 11/01/2014!! Cardfight Vanguard Tournament on Saturday 11/01/2014! !